Torontonians with a penchant for fine food and wine are spoilt for choice when it comes to road trip-worthy destinations suitable for a weekend away. While Ontario’s oenophiles rave for Niagara on the Lake and Prince Edward County, cottage country fans swoon for Muskoka and Tobermory …but what about our neighbour to the south? After spending plenty of time exploring my own backyard I embarked on a long overdue jaunt to upstate New York’s Finger Lakes. The drive takes 4-5 hours via Buffalo depending on if you opt to stop for a snack along the way (I suggest Bob Evan’s or Cracker Barrel as they are both American restaurants you won’t find at home). 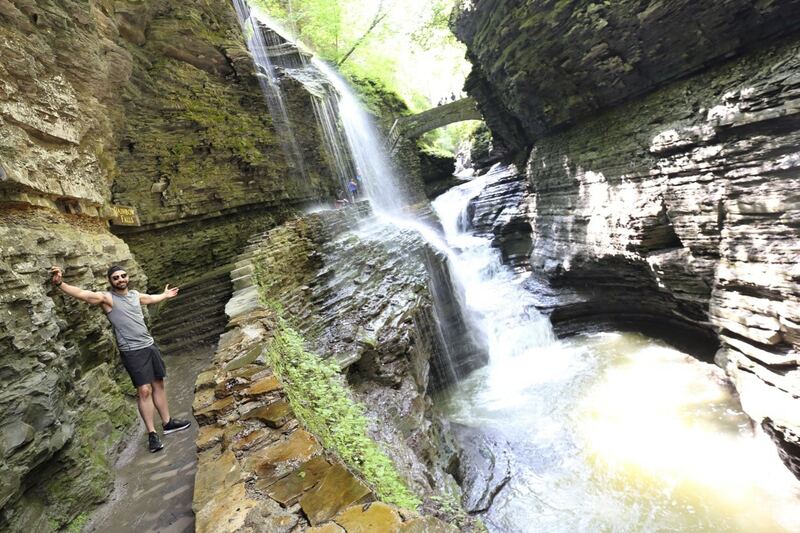 During a short two night stay I tip-toed through Ithaca’s bustling farmers market, trekked to inspiring waterfalls in Watkins Glen and explored the regions best art offerings in the charming town of Corning. The region reminded me of a pleasant synergy found in Ontario: Guelph’s hippy healthful vibe, Muskoka’s crystal clear lakes and Prince Edward County’s rustic wine trail. This summer if you’re keen to enjoy a road trip somewhere new, hop over the border and explore New York’s Finger Lakes – where mother nature, fine wine and impressive art are found on a well rounded rural romp. Ithaca’s most charming hotel is the petite boutique property Argos Inn. Locals rave for the hotel’s custom zinc-topped bar which offers a speakeasy vibe adorned with kilim rugs, hand-blown glass chandeliers and intimate lighting. 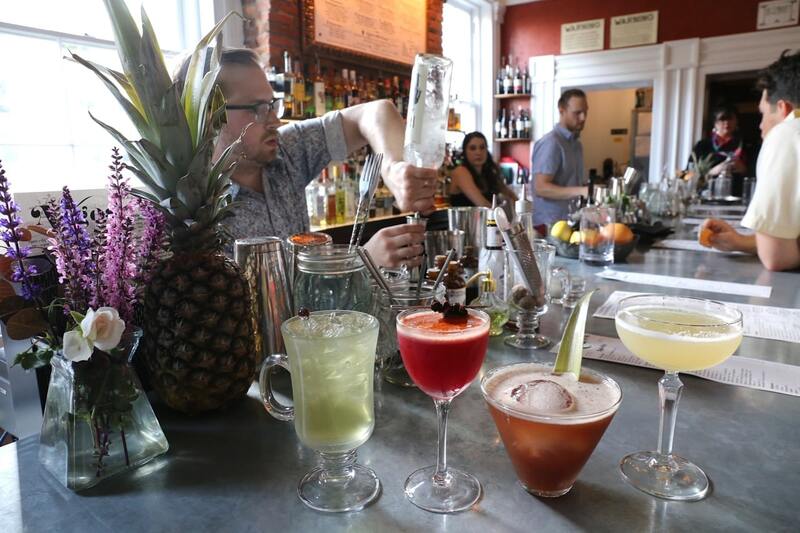 It’s the go-to spot for craft cocktail fans looking to sip their way through the Finger Lakes. Friendly bartenders shake up a carefully curated classic cocktail menu featuring house made inventions sourced with local ingredients. Sip yourself silly on Argos signature Milk Punch, fancy Grand Budapest Hotel or herbaceous Flora & Fauna. 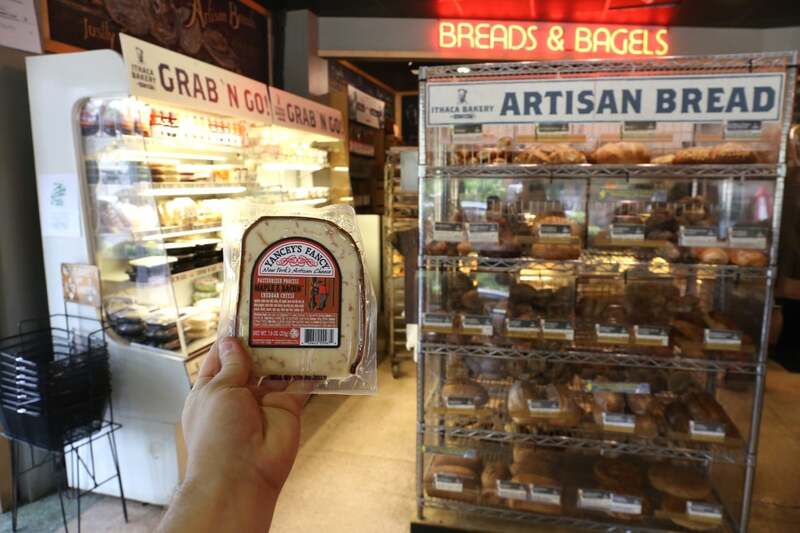 Another local favourite (the place swarms on weekend mornings), Ithaca Bakery is the perfect spot for foodies to grab grub to enjoy back home. You’ll find a full line of housemade soups, salads, outrageous breakfast sandwiches, local cheese and charcuterie, freshly baked bread and espresso bar. Be sure to pack that maple and bacon cheddar along with a fresh loaf into your luggage. 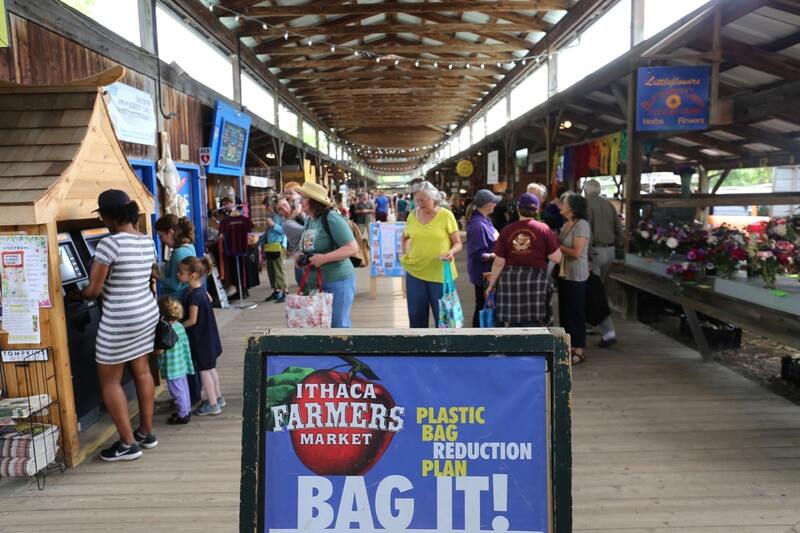 The Ithaca Farmers Market holds the title of America’s first farmers market and has been cultivating earth and community since 1973. In the summer locals love to stroll along the Cayuga Lake Waterfront on weekends to meet with local producers and procure their sips and nibbles for the upcoming week. The market is housed in a beautiful timber open-air building and features a plethora of pretty things – from fragrant florals, fresh baked goods, hand crafted soap, cider and wine, creamy cheese and pretty pleasures crafted by local artists. The market’s most raved about vendor is Solez, be prepared to wait in line for New York’s most talked about breakfast burrito! If you’re looking to enjoy a moment of rest and relaxation indulge in a therapeutic massage at Rasa Spa. 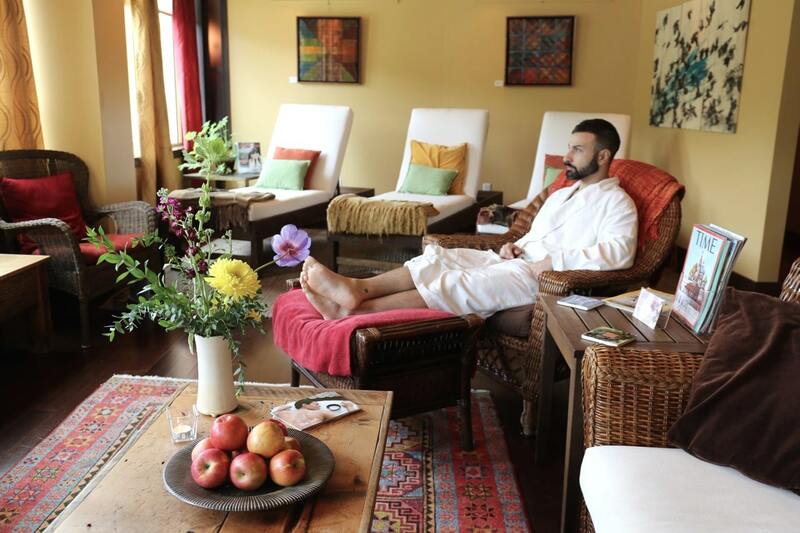 Guests wrapped in plush white robes can be found waiting for their treatments while sipping tea at the spa’s relaxation space. It’s here you’ll find flesh florals, walls decked out in local art and pretty views of the river below. Realize the humble apple’s full potential in a glass of thirst-quenching cider at Finger Lakes Cider House. 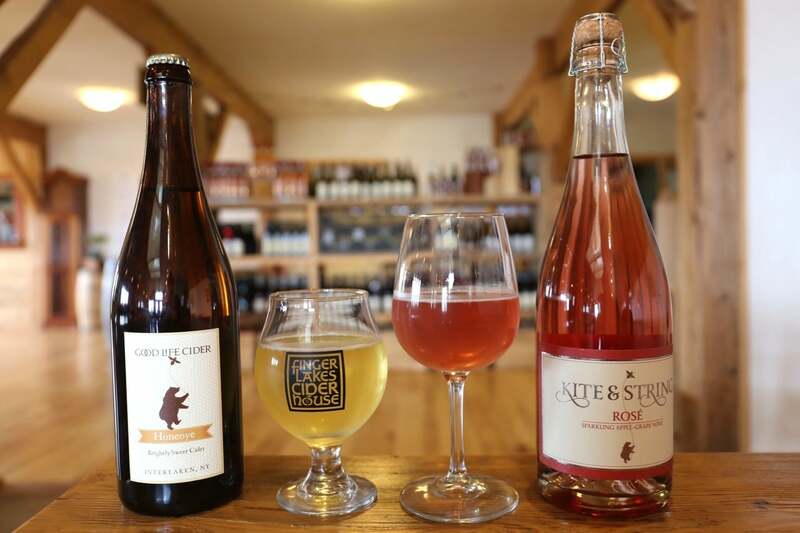 The tasting room and gift shop is located at Good Life Farm, a hub for the hard cider renaissance in New York Apple country. It’s here you can sip from four local artisan cider producers, each dedicated to creating distinct, complex ciders from farm-based orchards. Order a glass of the their signature Honeoye alongside a sparkling rose and grab a seat on the sun-soaked balcony which offers scenic views overlooking the crop fields, apple orchards and horse barn. Nature nuts and fitness fans take note: Watkins Glen State Park is the most famous of the Finger Lakes State Parks and has a reputation for leaving visitors spellbound. Within two miles, the glen’s stream descends 400 feet past 200-foot cliffs, generating 19 waterfalls along its course. The gorge path winds over and under waterfalls and through the spray of Cavern Cascade. Campers and day-visitors can enjoy the Olympic-size pool, scheduled summer tours through the gorge, tent and trailer campsites, picnic facilities and excellent fishing in nearby Seneca Lake or Catherine Creek, which is renowned for its annual spring run of rainbow trout. New York’s first farm brewery, Rooster Fish Brewing opened its doors in 2002. The brewery’s industrial vibe is punctuated with accents of repurposed materials while a spacious outdoor patio offers hop heads a comfy place to sip in the sun. Hop up at the bar and you’ll find a rotating selection of taps featuring seven craft-style small batch beers and up to four special seasonal brews. If you’re feeling peckish while sipping your suds be sure to order their impressive charcuterie and cheese board featuring pork rillettes, bacon jam, capicola, apricot cheddar, camembert and fresh mozzarella. In 1951, the Stamp family moved to Lakewood Farm, a run-down peach and apple orchard on the west side of Seneca Lake. The next spring they started planting grapes. The original grapes planted were primarily Labrusca and French-American Hybrid varieties, which were favoured by the large wineries and grape juice companies. In the mid-80′s the family diversified to add some new hybrid varieties and European vinifera plantings. Today, with 80 acres of grapes planted, the farm is home to Lakewood Vineyards. The winery produces wines from all three families of grapes, offering a very diverse selection of wines. Grab a bottle (or two) and relax on the winery’s pretty porch which offers jaw-dropping views of the vines below, while swirling your glass in the summer sun. The Watkins Glen Harbour Hotel is the Finger Lakes must-do if you’re looking to indulge in a sweet sleep. The hotel offers a variety of deluxe accommodations including six luxurious suites, plus an indoor pool, gym, professional concierge on call and nightly turndown service. Spacious suites include plush king, comfy couch and views overlooking the quaint town or quiet harbour. In the morning enjoy breakfast at the Blue Pointe Grill’s patio which sits surrounded in a lush garden overlooking the waterfront. 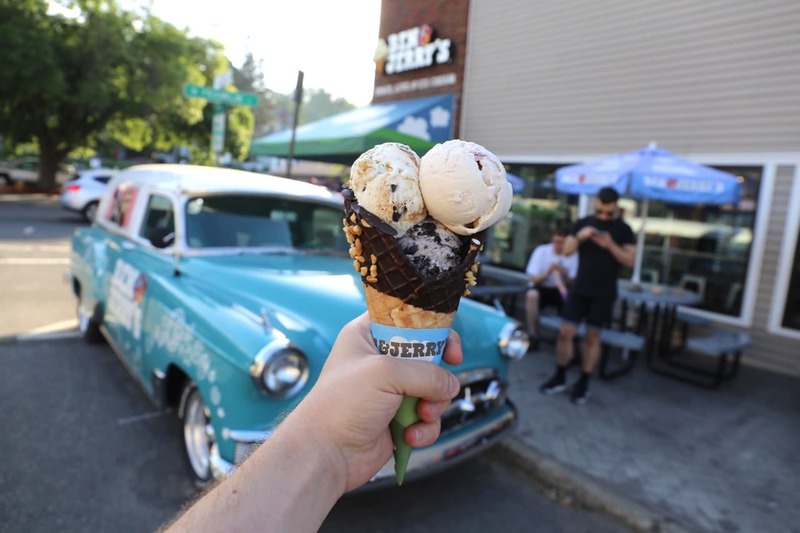 Road trippers with a sweet tooth will find themselves giddy with glee strolling through the charming town of Watkins Glen while licking through a triple scoop of ice cream in a freshly made waffle cone at Ben & Jerry’s. The famous American ice cream company has not yet opened up shop in Ontario, so Toronto ice cream fans should be sure to enjoy a scoop or two as many of the flavours at Ben & Jerry’s ice cream shops in the US feature flavours we can’t buy in tubs at grocery stores back home. Enjoy a selection of tangy fruit sorbets, a coconut cream muddled number and fan favourites like Cherry Garcia and Chunky Monkey. 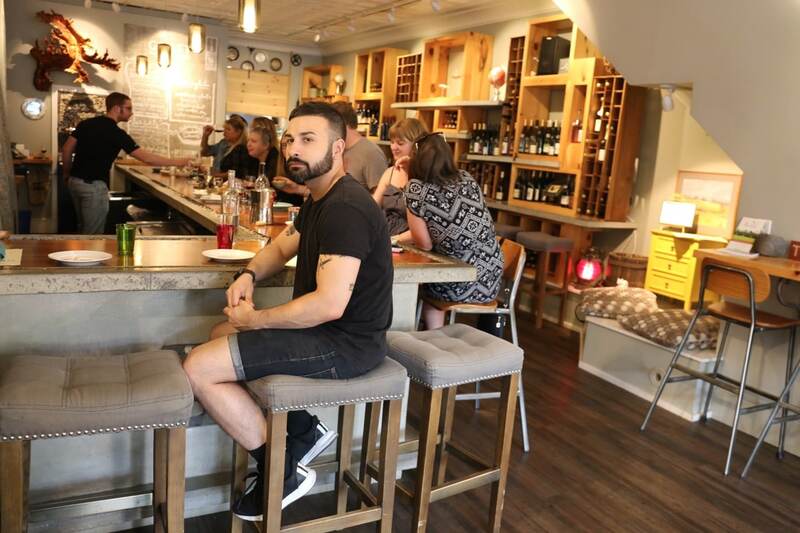 If you’re looking to enjoy a fine feast after a day spent road tripping through the Finger Lakes head to Watkins Glen’s local fave, GRAFT wine + cider bar. The restaurant exclusively serves and sells a variety of New York State hand-crafted wines and hard ciders. 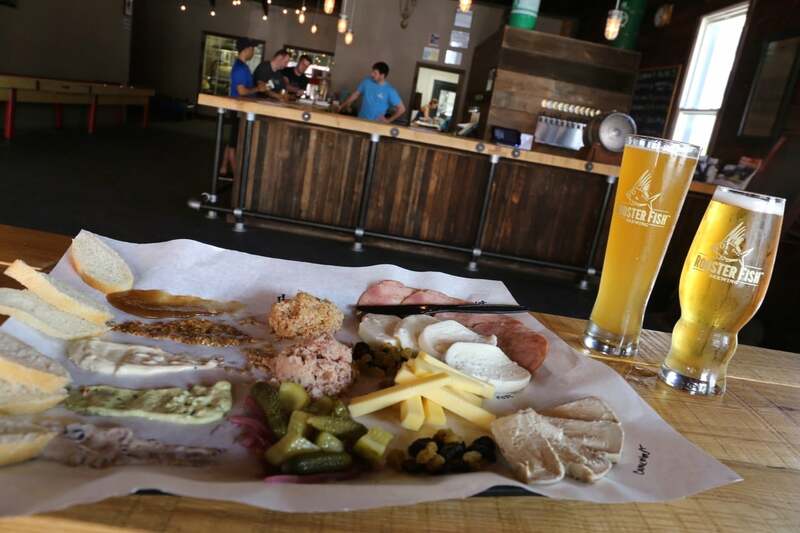 In the spirit of embracing all-things-local, premium Finger Lakes producers are highlighted on a rotating, seasonally focused bar and kitchen menu. Chef Christina McKeough’s menu ebbs and flows with the seasons so it’s best to order everything. Start with a glass or two of sparkling cider which pair perfectly with Chef McKeough’s signature Chicken Liver Pate. Enjoy a splash of local dry Riesling while devouring plump Ricotta Gnocchi slathered in sweet cream before switching to a light Cabernet Franc best enjoyed with a duo of juicy sausages and earthy Sumac Braised Rabbit. Opened in 1924, The Glen Theatre was a first run movie house for decades before difficult times forced its conversion into an adult movie house. Bought by a local resident in 1996, it was restored and reopened with the addition of a second screen. Visiting film buffs looking to tap into old school American cinema vibes will find happiness tucking into a bag of buttery popcorn. The tiny town of Corning is famous for playing home to two world-class museums. Start your visit to the more intimate Rockwell Museum, housed within the Old City Hall building. 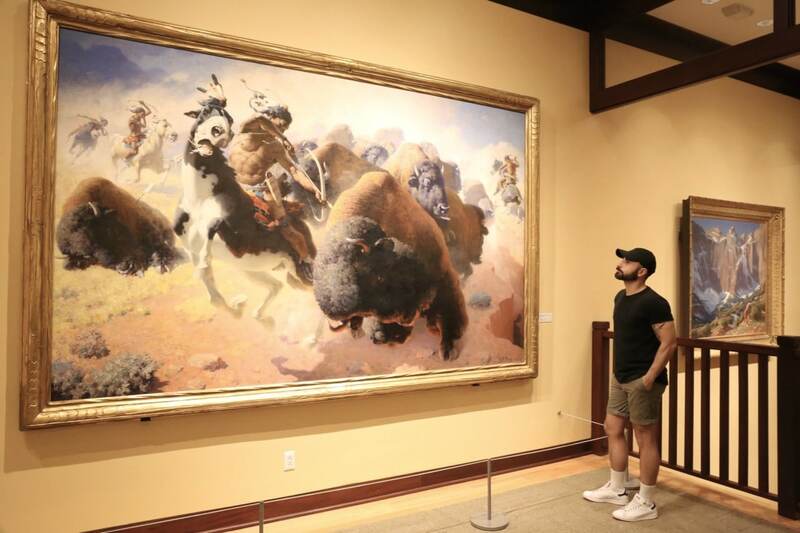 The museum’s diverse collection includes a mix of nineteenth-century American paintings, historic bronzes, and Indian artifacts as well as twentieth-century modernists, illustration art, contemporary photography, and historic firearms. Featured galleries represent the works of Andy Warhol, the Taos Society of Artists, and masterworks of Remington and Russell. 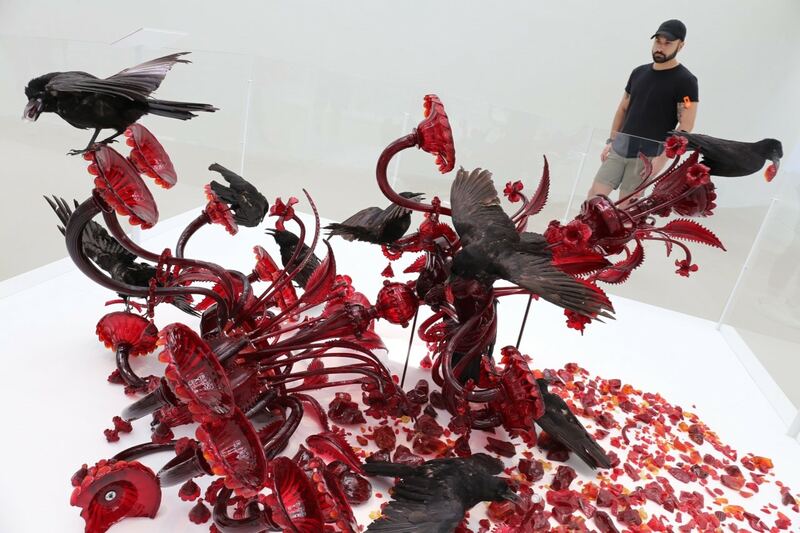 The Corning Museum of Glass displays the world’s best collection of art and historical glass. When you visit, you’ll see more than 3,500 years of history displayed in the Glass Collection Galleries, from the glass portrait of an ancient Egyptian pharaoh to contemporary sculpture made in glass. You can learn about the science and technology behind innovations in glass through hands-on exhibits at the museum’s Innovation Centre, exploring the concepts behind optics, vessels, and windows. Glass is brought to life through live, narrated glassmaking demonstrations, offered throughout the day. Interested in trying glassmaking yourself? Be sure to sign up for one of the museum’s Make Your Own Glass sessions, a 40 minute hands-on experience which allows you to go home with your very own creation. New York State’s most award-winning winery since 1962, Dr. Frank’s has played a major role in winemaking throughout the country and in the genesis of the Finger Lakes as a world class wine destination. 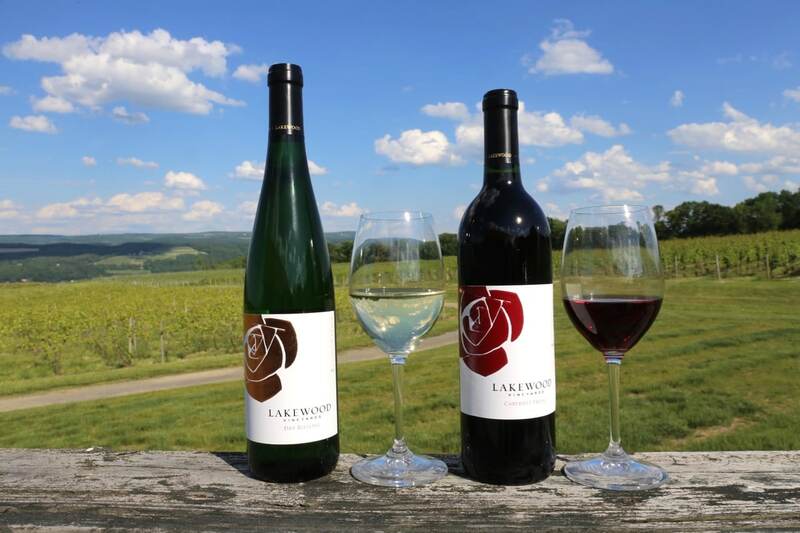 The family run winery pays homage to Dr. Konstantin Frank who ignited a vinifera revolution in the region after immigrating to the Finger Lakes from the Ukraine after World War II. Today, Dr. Frank’s offers an excellent variety of Riesling (which are known for growing so well here) but it’s the unfamiliar grapes from Eastern Europe, Rkatsiteli and Saperavi, that make the winery truly unique. 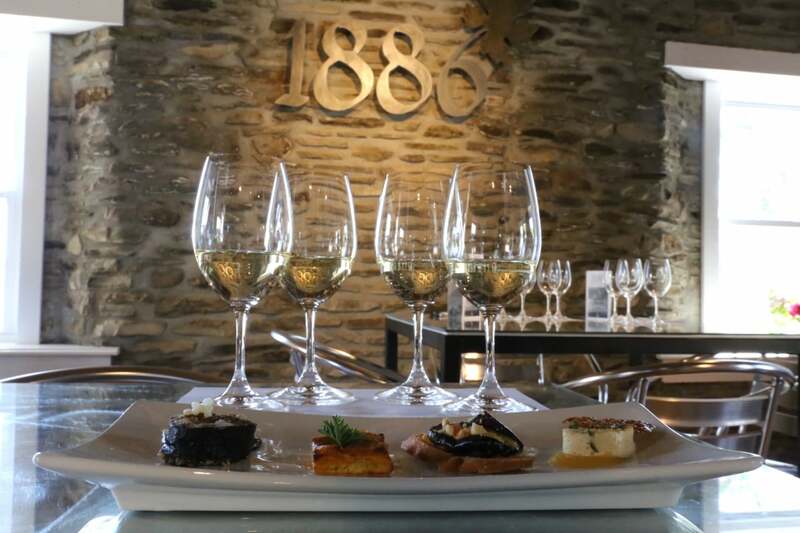 Dr. Frank’s recently launched the 1886 Reserve Tasting Room, located in a beautiful stone heritage building directly above their sparkling wine cellar. Visits are available by reservation only and include a 30 minute in depth viticultural and cellar experience, followed by a seated educational wine flight paired with creative bites by Chef Nyssa Trepes. Wine flights often include older vintages from the winery’s esteemed private library. vacationed in Watkins Glen last summer (stayed at the Harbour hotel) I love the finger lakes region! This travel piece surely brings back home. I grew up in Elmira and know the area from where to pick wild strawberries to the art galleries. I loved the presentations of each site you previewed. Thank you.